Jewelry is used for accessorizing and accentuating outfits, as a symbol of marriage covenants, and, in some cases, to afford resale value. Managers of jewelry stores oversee the sales and service of this specialty merchandise. Their duties, skills, and qualifications emphasize the unique nature of the retail jewelry industry. As the following jewelry store manager job description testifies, jewelry store managers must combine skills of retail and customer service in general with the knowledge of jewelry features. What Does a Jewelry Store Manager Professional Do? The jewelry store manager job description entails more than running a store, it also means to hire and supervise employees. Given the nature of jewelry, the manager’s responsibilities, in general, reach into store security, a particular form of inventory management and presenting an exemplary customer experience. Inspect and ensure the proper operation of security cameras and alarms. Track by manual and automatic means inventory on display and in back storage. Instruct employees on policies for handling jewelry, while also showing pieces to customers. Hire and assign store associates to counters and repair areas. Schedule work times for staff. Oversee display of jewelry in counters. Process credit application or other financings of jewelry purchases. Provide credit or finance agreement, sales agreement, and warranty information. Ensure accuracy of price information and discounts. Supervise delivery of prompt and courteous customer service, including repair and also resizing of jewelry. Inform customers of the quality, stone type, weight, cuts and other features of jewelry pieces. Report thefts to law enforcement and insurance company. Interpersonal Skills. Providing excellent customer service requires skills in listening and responding courteously and promptly to questions, requests, and complaints. Meanwhile, managers must avoid delivering unrealistic deadlines and expectations to customers. Other interpersonal skills include patience with customers who wish to view several pieces before making a selection. Integrity. The jewelry store manager job description involves handling of high-value merchandise. So, the company must be able to trust the manager to accurately account for the merchandise. In certain stores, the jewelry store manager may work with a small crew or even alone at times. Management Skills. Jewelry store managers need organization and the ability to anticipate peak periods in order to adequately staff the store. Skills in managing staff also include training and holding staff accountable for properly and timely repairing and resizing pieces, handling inventory carefully and affording customer service. Detail-oriented. The jewelry store manager job description entails vigilantly watching the activities that take place in the store in order to detect and prevent theft by visitors to the store or by employees. Performance of job duties calls for careful and constant attention to the handling and movement of inventory and the needs of customers. Repairs or resizing of jewelry involves handling very small components. Technological Skills. The jewelry store manager job description requires skills in using spreadsheets, databases and inventory applications that help managers track inventory and sales. Also, jewelry store managers should be versed in social media in order to announce products or post content about fashion or jewelry-related matters. The aspiring jewelry retail store manager should build significant familiarity with the jewelry industry. This involves learning the categories of jewelry – fashion, estate, and fine jewelry, as well as techniques for repairs and resizing. Managers should exhibit skills in appraisals and be able to examine defects and sales. Through education and training, future jewelry store managers obtain the skills and certifications needed to qualify or increase prospects for management positions. Jewelry stores normally require managers to have a high school diploma. While in some stores or companies, an associates or bachelor’s degree may be preferred or required. Classes should focus on sales, marketing and use of computers. To enhance employment prospects, a jewelry store manager can seek recognition from Jewelers of America as a Certified Management Professional and a Certified Senior Management Professional. The former applies especially for newly-trained managers in stores as part of a multi-store operation. Those seeking the latter type of certification may poise themselves to run independent stores or engage in advertising and pricing. Generally, training of jewelry store managers comes through working in various facets of the store. Certain stores may offer their own training to acclimate the prospective manager to store products, brands, strategies, and policies. The Diamond Council of America administers a Beginning Jewelry Sales course online for managers and salespeople. While the topics include an overview of the industry, types of merchandise, sales techniques and customer support and service. To become a jewelry store manager normally requires extensive experience in the jewelry industry. Typically, an aspiring manager begins as a salesperson with a store or a department store jewelry counter. Working in jewelry repair or jewelry manufacturing can also afford experience, especially at the entry-level stage. At chains or department stores in particulars, management experience comes by serving as an assistant manager. Those in these roles may lead shifts themselves, especially on evenings and weekends, assuming responsibility to direct staff, close sales and handle customers. Jewelry store managers normally work weekdays and during normal daytime business hours. With chains and department stores, the manager may have assistant managers who can take evenings or weekends. Even in these establishments, the head manager may report on evenings or weekends. 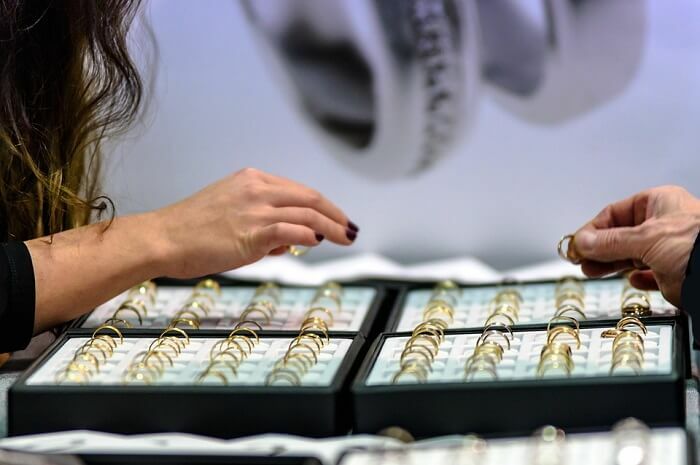 Jewelry stores see heavier customer traffic during holidays such as Christmas, Valentine’s Day and Mother’s Day. At these seasons, stores may operate extended hours. Trends in retail may fashion the prospects of jewelry store managers. By 2020, online sales may account for ten percent of the retail fine jewelry market. While in the fashion jewelry sector, the online share could reach 15 percent by 2020. You can read here more about some of the best paying retail jobs. This may suggest a gradually diminishing presence of brick-and-mortar jewelry stores and less of a demand for jewelry store managers. The prospects of saved travel time and expense in shopping fuels the growth of online shopping. Therefore, independent retailers may rely more on personalized service for customers and the ability to repair pieces or adjust sizes. Among these types of stores, jewelry store managers may see better chances of landing a role. Finally, jewelry store managers who exhibit superior knowledge of their products and the skills to ensure excellent customer service can find opportunities for employment. To efficiently run these establishments, these professionals must demonstrate integrity, patience, and concentration to close sales and protect merchandise that often can be targets of criminals. Furthermore, if you want to get more info regarding the same field, you can look at the store owner job description as well.